Need any help ? Check these frequently asked questions. We offer several payment options in our shop. You can pay via PayPal, these orders are processed on an external page by PayPal Inc. All other payment options are being processed over a secured page by Mollie. No credit card- or personal details are stored on our servers. There are no extra cost for you by using these payment methods. Digital orders (pdf patterns) are processed automatically. After the payment, you will receive a confirmation email with links to download the pattern(s) you’ve purchased. When you order a paper pattern from us you will receive the digital files immediately after your order has been completed. The paper pattern(s) will be shipped within 3 business days. For shipments in Belgium delivery times are 1 to 2 business days, for deliveries outside Belgium you will receive a track & trace code to follow your shipment. What is included in a Compagnie M. paper pattern ? – A pattern card with a unique code to download the digital version(s) of the pattern and the pdf instructions. The detailed photo instructions are available in different languages. I bought a paper pattern but how can I download the pdf instructions ? Fill in the coupon code that you can find on the postcard, select the language of your choice for the instructions, fill in your name and email address and you can download your files. You can download the files directly from your account page and you will get an email with the link to your files. The pattern is in the wrong language ? All patterns are available with English text. The instructions are available in different languages, you can select these in the shop, before adding the pattern to your cart. In the instructions the different parts of the pattern are marked with numbers and a detailed overview is provided. In case of an incorrect version, please contact us for an update. Does the pattern include seam allowances? All digital patterns are provided with a version with seam allowance and a version without seam allowance. The pattern with seam allowance includes a 1cm (3/8 inch) seam allowance unless mentioned otherwise. The paper pattern is printed recto/verso WITH and WITHOUT seam allowance. Why are there no printed instructions included with the pattern ? Since all our patterns include very detailed photo instructions, and are available in up to 5 languages, it’s impossible to print these out and include them with the pattern. Some instructions are up to 40 pages. By downloading them you’ll always have the latest version of the instructions and future upgrades are possible. A PDF pattern is a digital file that you download from a link emailed to you after you’ve purchased it. Beside the pattern (with & without seam allowance), a file with detailed instructions is included. The instructions will guide you through printing and assembling the pattern & sewing your garment. All PDF patterns are designed for printing on A4 or 8.5 x 11 inch letter-size paper. When you print the pattern you have to make sure, not to scale it: page-scaling option must be ‘none’. When you print the pattern, please check the measurements of the test square. These must be 2,5cm by 2,5cm or 1inch by 1inch. All patterns include a picture that shows you how to assemble the pattern. Most patterns are also available as an A0/A1 version, which you can send to your local print shop. When ordering (a) digital pattern(s), you will receive a confirmation email with the links to download the pattern(s) (with & without seam allowance) together with the instructions. Make sure to save all documents on the hard disc of your computer. You can always access your purchased patterns via the “My Account” page, you will need to login forst to access your files. My pattern is in the wrong language ? All pdf patterns are available with English text. The instructions are available in different languages, you can choose in the shop which version you prefer. In the instructions the different parts of the pattern are marked with numbers and a detailed overview is provided. If you received the instructions in another language than you prefer, or a pattern has become available in your language, please contact us so we can provide you with a free update. All digital patterns are provided with a version with seam allowance and a version without seam allowance. The pattern with seam allowance includes a 1cm (3/8 inch) seam allowance unless mentioned otherwise. Does the instructions include inches or centimeters? Both centimeters & inches are included in the instructions. What software do I need to display the pdf patterns ? I can’t open my pattern download link or get an ‘invalid download’ message. To be able to use the download link in the order confirmation, you will need to be logged in to our website. When you receive this error message, please log in to the my-account page with your username (or email address) and your password. I lost my digital pattern. When you lost your digital pattern, you can download it again via the confirmation email that was send to you after your purchase. You are also able to access all your purchases trough the my-account page, you always find the latest version of the patterns here as well. Can I sell clothes sewn from Compagnie M. patterns? You are allowed to sell finished garments made from Compagnie M. patterns, but only when it’s on a small scale (under 20 pieces / year). 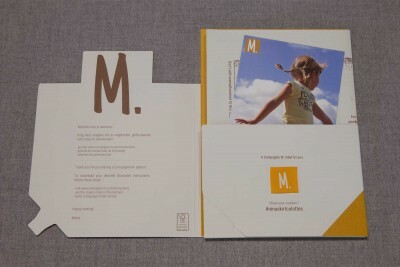 Please reference Compagnie M. and the pattern on finished garments & all communication material used to promote the garments. Can I organise workshop with Compagnie M. pattern? It’s allowed to organise workshops with Compagnie M. patterns when your participants purchase the pattern. I have special offers for workshops, please contact me for more details. Can I advertise on the Compagnie M. website? If you would like to become a partner or sponsor, please contact me for more details. Can I share my Compagnie M. patterns? Compagnie M. pattern are copyrighted and licensed for personal use only, which means you are not allowed to share your patterns with any one. This means the resale or distribution of the pattern and instructions is not permitted. Compagnie M. patterns may not be shared in sewing clubs or libraries. How can I share my finished Compagnie M. creation? When you share your pictures on Flickr, I might share them on my website. When you don’t want your pictures to be shown, please let me know. You can also share your pictures on my Facebook wall. If you have any other questions, feel free to contact us via the contact form. How can I apply for membership to the Affiliate Program ? Go the Affiliate Dashboard page and fill out all the required fields. You will need a PayPal email address for the payouts. We will review your application and send you an email when it has been approved. Where can I find my Affiliate Dashboard ? Once your account has been activated you can find the dashboard via the My-account menu in the header of the site. How can I create Affiliate links or banners ? On your Affiliate Dashboard you will find a list with pre-made banners (creatives) that you can use on your website or blog. Just copy-past the html code and insert it into your blog or site. To create an Affiliate link to a certain page, just enter the URL in the Referral URL generator on your dashboard. Use this url in your post/page to activate the link. When will I receive the payments for my referrals ? We will pay out the earnings quarterly, at the latest 20 days after the end of the month, to your PayPal account.